This party will have something for everyone to enjoy! A street fair parade followed by dinner and a jazz band. Have a great night with fellow Garfield parents and benefit the school in so many ways. 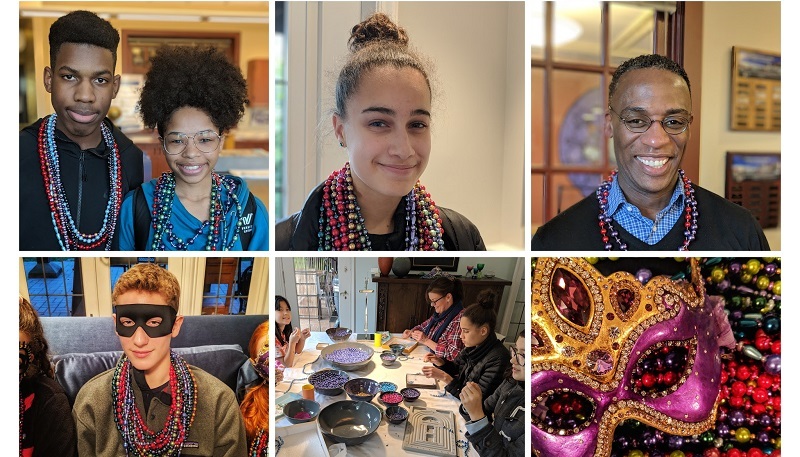 Please help create custom-crafted glass mardi-gras beads to be sold at the event! A final session has been added on Sunday, Feb. 24.